Burglaries aren’t uncommon these days. Criminals look for easy targets, including empty homes and homes that are not protected by security systems, when it comes to choosing their next victims. 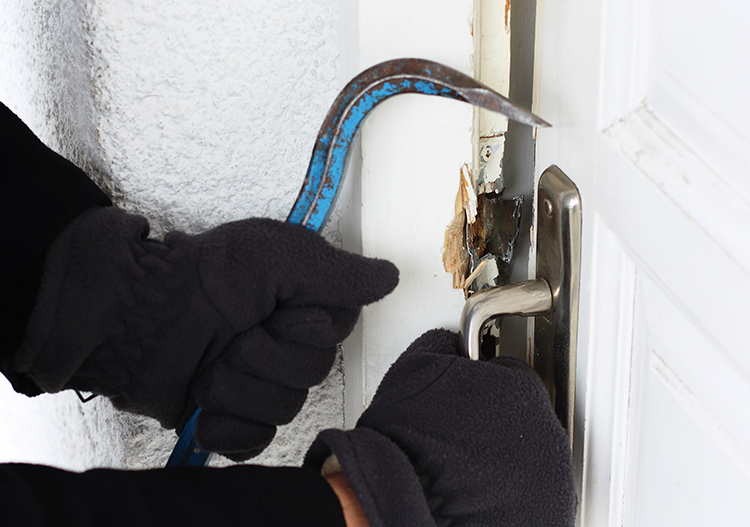 Here, you can learn some tips and tricks that will make burglars skip your home, which can help protect your family and your property. The best thing you can possibly do to help scare burglars away before they even think about robbing your home is to give the impression that someone is home, even when you’re away. This may involve leaving a couple of lights on if you’ll be gone for a few hours. However, if you’re going away on vacation, you’ll need to take that a step further. You can either install a “smart home” system that allows you to control the lights in your home via the internet, or you can hire a neighbor, family member, or trusted friend to visit your home each day and randomly switch the lights that are left on. Sometimes, simply having security cameras installed in plain sight is enough to deter burglars. After all, even if they cut the wires, you’ll still have them on camera. What’s more, most burglars admit to skipping homes with security cameras. They claim that if they see one camera, they believe there are probably more that they cannot see, which causes them to skip your home and move on to another that is left unprotected. You’ve probably seen it online, and you may even have friends and family who use this little trick. Many homeowners will get signs from home security companies, even if they don’t have a security system, and place them in their yards, on doors, and on windows to deter thieves. Although this can and sometimes does work, keep in mind that many of today’s burglars are highly educated and they know what to look for. Simply having the signs is not enough; you’ll need to actually have the security system that the signs advertise if you’re going to deter burglars. Finally, one of the best things you can do for yourself involves joining a neighborhood watch and advertising that group via signs in your neighborhood and in your yard. A neighborhood watch is a group of individuals who look out for one another and who report suspicious activity to the proper authorities. Burglars and thieves often avoid areas protected by a neighborhood watch because they never know who is watching, even in the dead of the night. If your neighborhood doesn’t have a neighborhood watch committee, consider creating one. It doesn’t cost anything, and it can protect everyone. Protecting your home from thieves doesn’t have to be difficult as long as you understand what they look for when they target their victims. If you follow the advice above, the odds that your home will be chosen for a robbery are slim to none. After all, thieves don’t want to get caught red-handed.